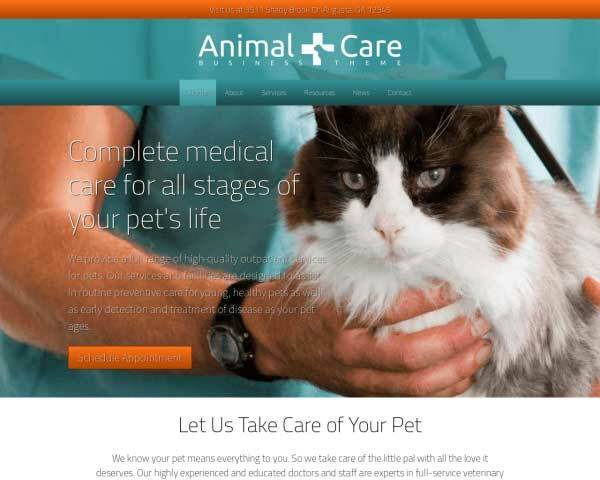 Your website is often the first contact pet owners will have with your clinic or animal hospital. Show them the friendly, knowledgeable and caring service you provide through a professional website built with our Veterinary WordPress theme, packed with features and ready to go! 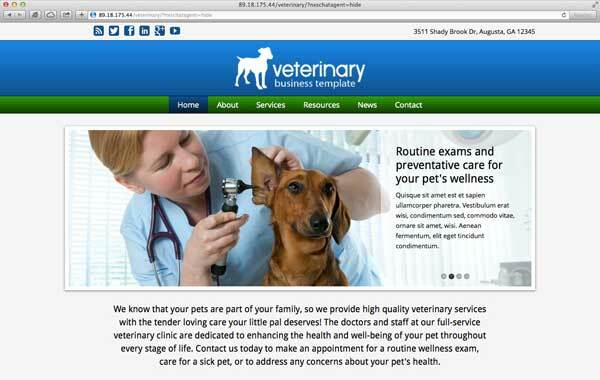 With the Veterinary WordPress theme, your clinic's website will serve as much more than an effective way for clients to find you online. 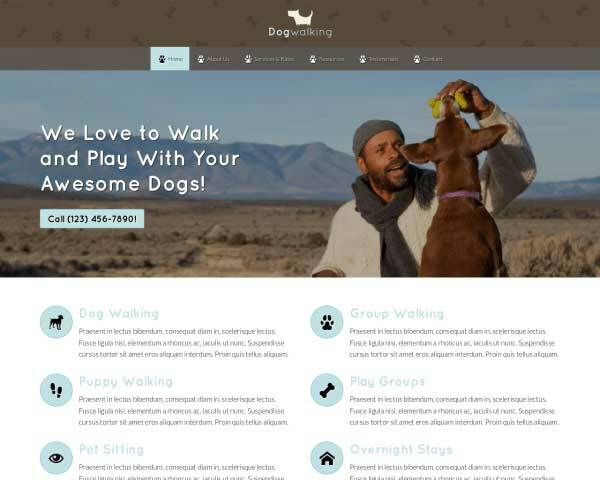 With vet-specific business features built-in, this WP template allows you to promote your veterinary services while offering pet owners in your community a comprehensive, easy-to-use resource for the best care and wellness of their pets. A beautifully designed homepage with photo slider, call-to-action buttons and an overview of your most popular services is just the beginning. The solid framework is set up with the needs of a vet clinic in mind, including pet care guides, prescription refill form, an emergency services page, and an extensive set of other common vet services. Our simple and intuitive front-end editor makes it easy to personalize your site with your own color theme, text and photos. A great veterinary clinic's website needs to include a lot of important information in a neat, organized package. When you start with our Veterinary WordPress theme, you're already more than halfway there! 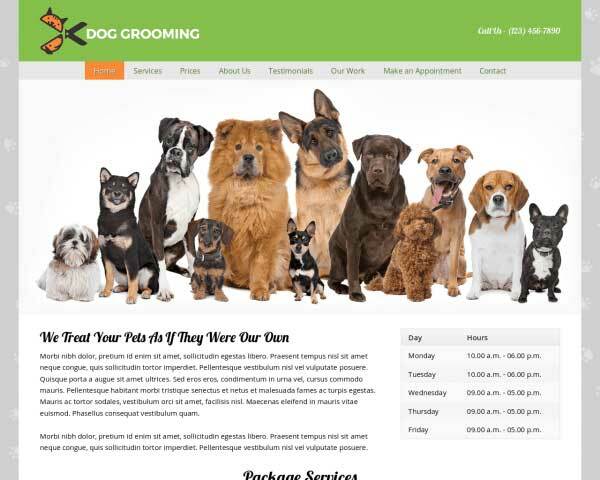 Focused on delivering content the best way possible, the Veterinary WordPress Theme is built to help you generate relevant traffic to your site by easily adding blog posts on a regular basis. 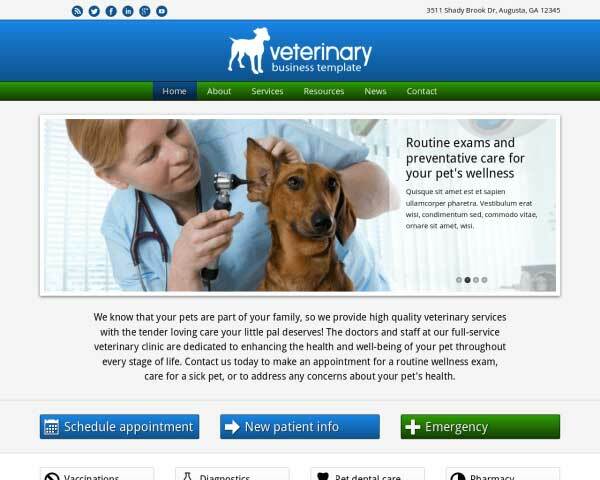 The Veterinary WordPress Theme was made specifically with the business needs of veterinarians in mind in order to ensure the best match for your website. Highly visible call-to-actions on nearly every page of the Veterinary WordPress Theme encourage visitors to contact and makes it easy for them to do it! Once you've got them hooked, tell visitors how to get more info on the Veterinary WordPress Theme's Contact page. Its flexible layout can be easily customized to suit your needs. Let your clients know what to do in case of a pet emergency, and where to go for emergency medical care while your office is closed. A Google map and route planner are included on this page. The Veterinary WordPress Theme comes pre-designed with inviting colors and a clean layout, all that's remaining is to add your details and you're ready to take the pet care industry by storm! 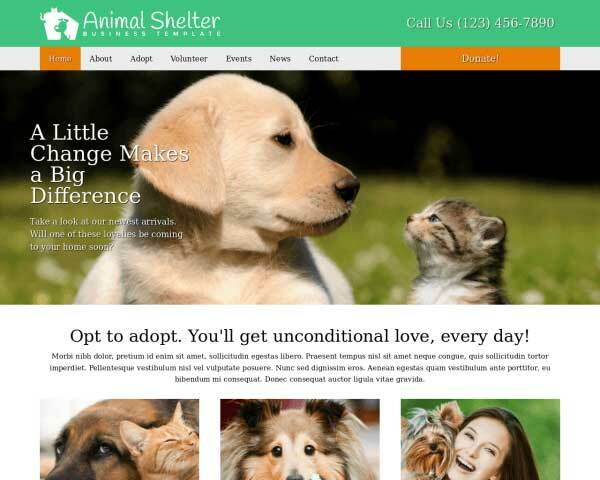 If your office helps rescued animals find new homes, you'll appreciate the Veterinary WordPress Theme's Pet Adoptions page. 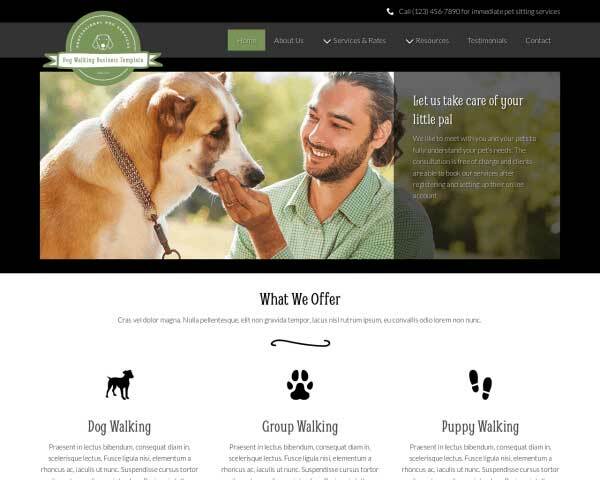 Simply replace the text and images in the pet profiles on the demo site! The Veterinary WordPress Theme comes with a customizable prescription form so your clients can order ahead before stopping by for refills. A button linking to the form is prominently visible on the homepage and sidebars. Sometimes puppies and kittens aren't the only ones visiting the vet's office for the first time. Make sure new pet owners come prepared for their first visit by offering info about what to expect. A customizable new patient registration form is included. Showcase your photos on the Veterinary WordPress Theme with two-, three- or four-column image galleries. Clicking on a thumbnail opens the photo in an elegant lightbox slideshow. If you want to provide pet owners with advice about the most common pet health issues, it's already set up for you in the Veterinary WordPress Theme. Just fill in your own text and rename the pages as necessary. 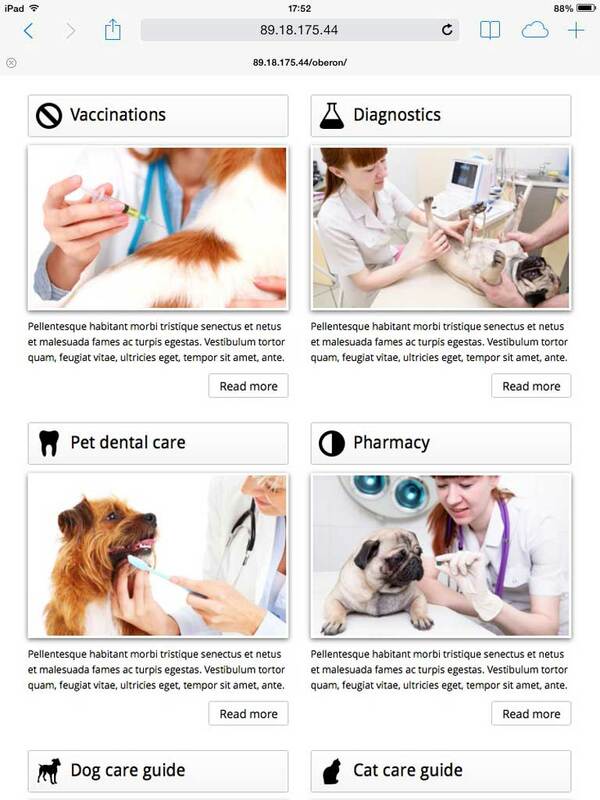 Provide medical guidance for pet owners any time of the day or night through the Veterinary WordPress Theme's care guide pages and pet heath library. It's all set up for you, just fill in your own text and photos! 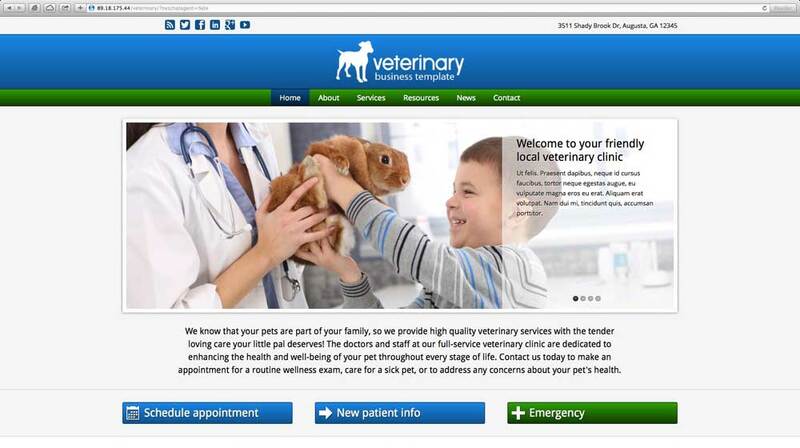 Offer clients all the information they need on the attractive service detail pages of the Veterinary WordPress Theme. Present visitors with a quick overview of your services on the homepage of the Veterinary WordPress Theme, allowing them to navigate directly to that page with one click. The Veterinary WordPress Theme includes an About page with room for your photo and biography. Add rows and use widgets to add more photos, blocks of text or videos. 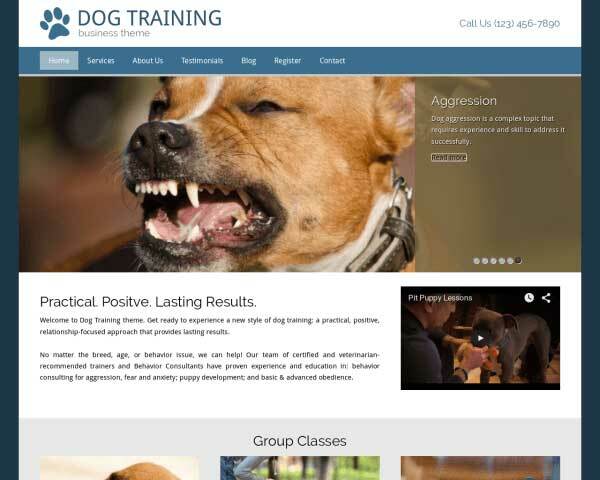 We've built the Veterinary WordPress theme to be fully-responsive, meaning that the layout of your content will automatically adapt to accommodate visitors accessing your site from any browser or mobile device. 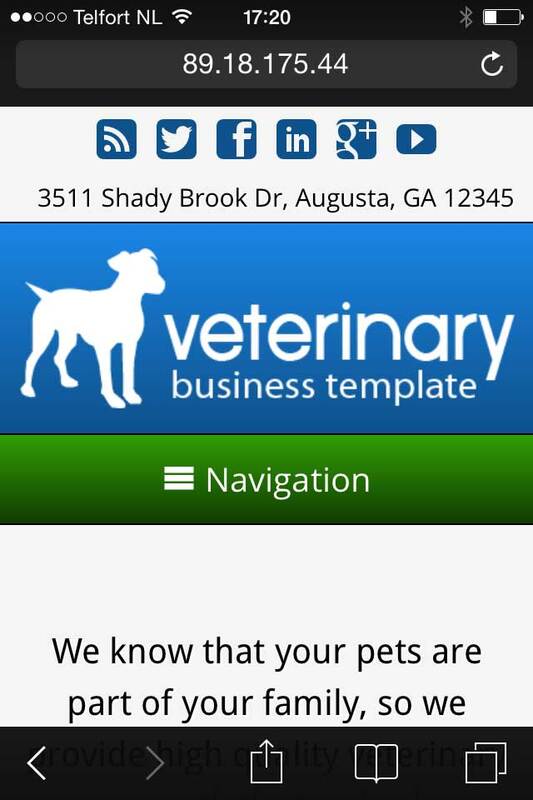 Its mobile-friendly navigation menu allows pet owners to easily find all the pages of your site even on small screens. 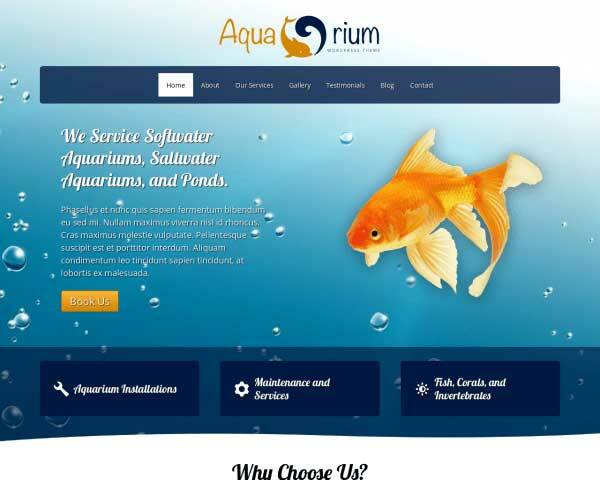 With no extra effort required, you can be sure that visitors will experience the same professional design and functionality of the desktop version of your website whether searching on a smartphone, iPad or anything in between.